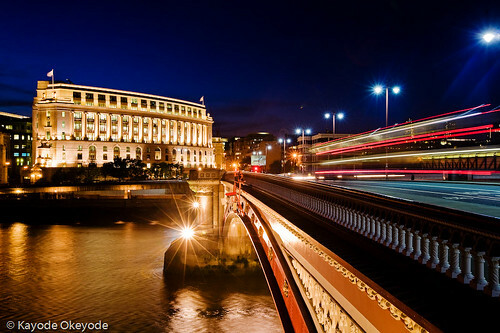 The present bridge was completed in 1869 and consists of five wrought iron arches built to a design by Joseph Cubitt. Due to the volume of traffic over the bridge, it was widened between 1907 to 1910, from 70 feet (21 m) to its present 105 feet (32 m). The bridge became internationally notorious in 1982, when the Italian banker Roberto Calvi was found hanged below one of its arches in what was originally believed to be a suicide, but is now officially regarded as a murder.